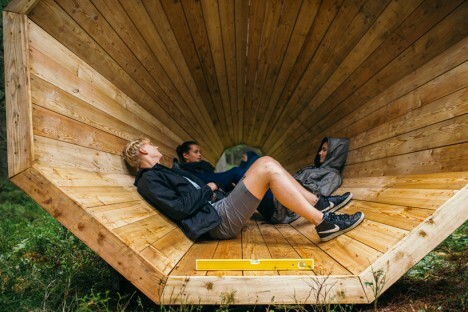 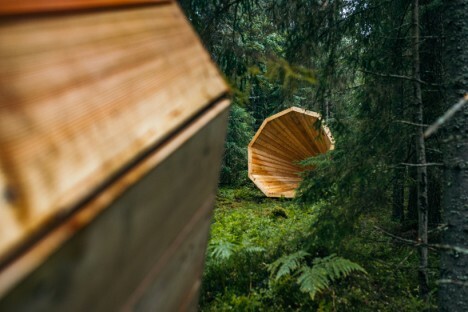 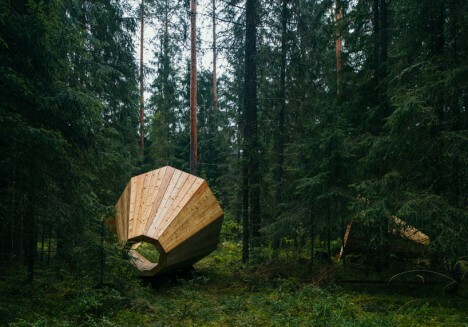 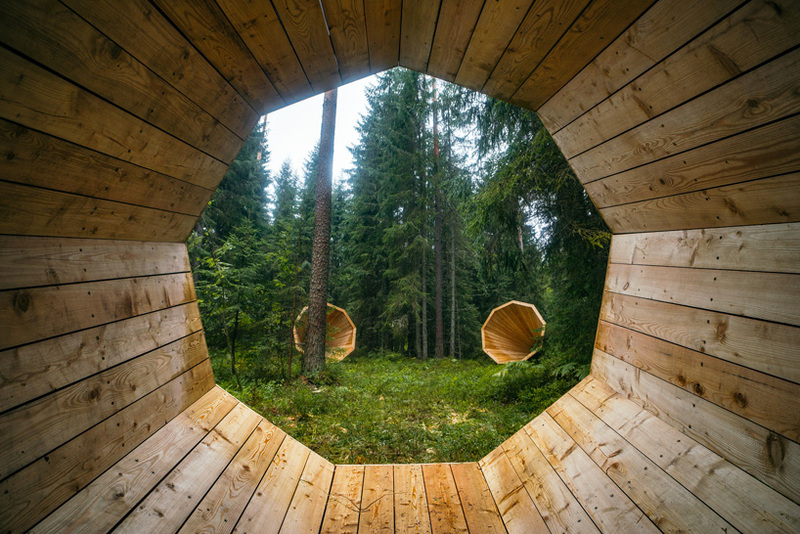 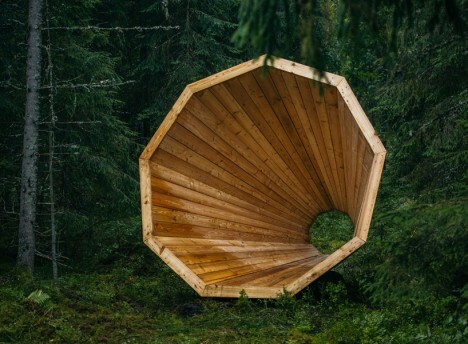 Large enough for visitors to enter and sit within, three gigantic wooden megaphones constructed in the forests of Estonia amplify ambient sounds of the environment. 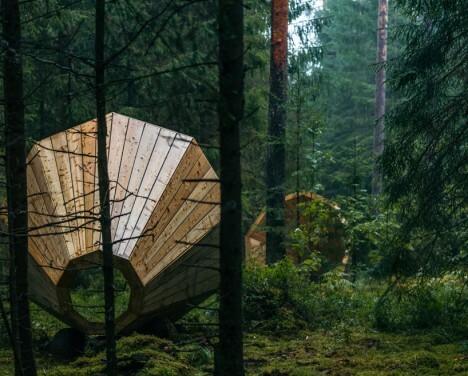 Nearly ten feet in diameter each, huge cones render quiet sounds of rustling leaves and birds chirping remarkably audible. 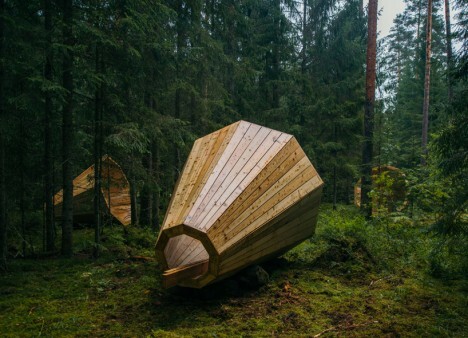 Thanks to their size and shape, the megaphones double as seating and shelter as well with space enough for a few hikers to spend the night. 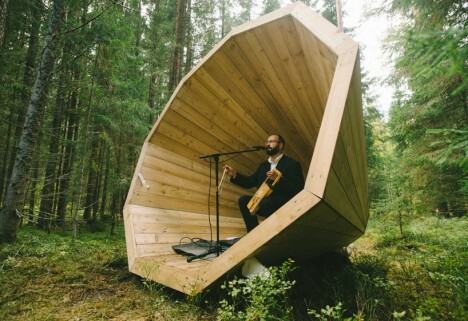 Each space can also be used in reverse as well by musical or other (small groups of) stage performers wishing to project sounds outward, or can double as seating for shows in the round. 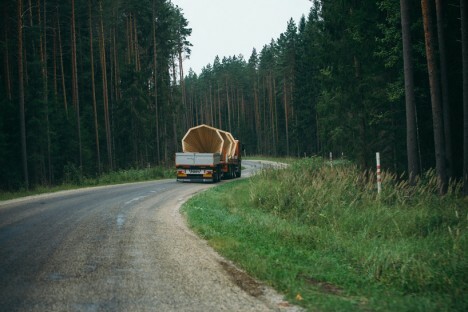 Construction of the megaphones was financed by RMK and the interior architecture department of the EAA. 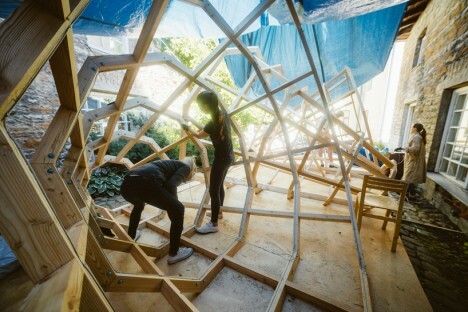 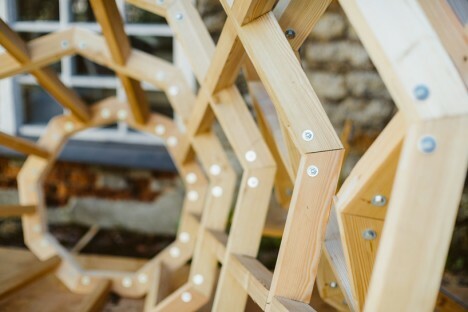 Each was built offsite and carefully transported into place.